50” x 60” woven blanket. 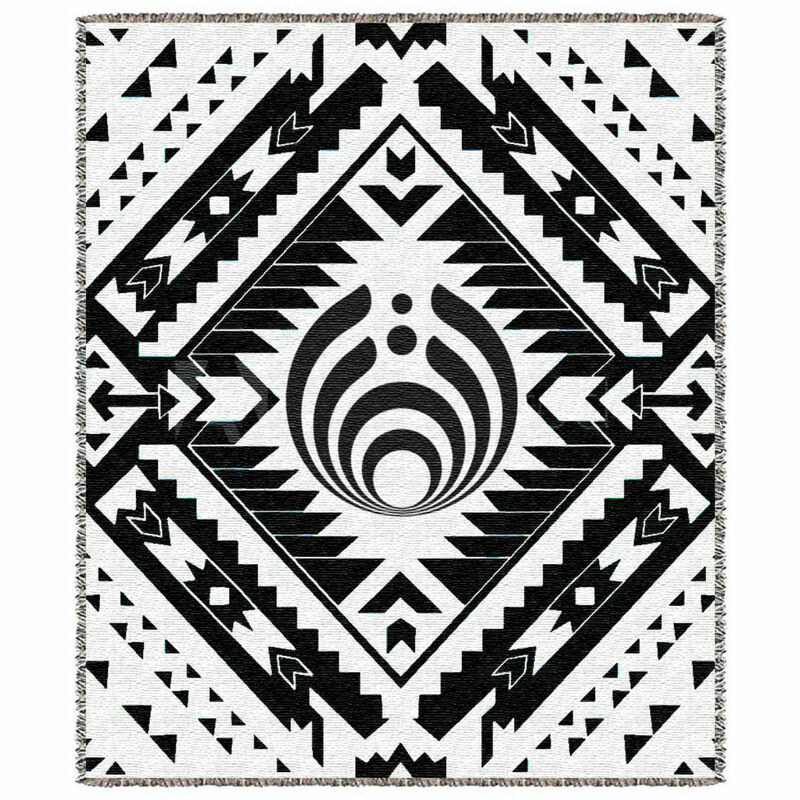 The design on this blanket is amazing! I couldn't tell this from the product description or images, but the reverse side of the blanket has reverse black/white color patterns. As another reviewer said, if it were a bit bigger (70" length instead of 60"), it'd be perfect. I knew it was small when I ordered it and I am planning on using it as a small picnic blanket or something to throw over my legs at home when it's chilly. 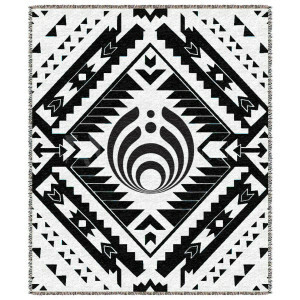 I missed my chance to get one of the Nectar beautiful blankets at Freestyle this year! SO HAPPY YOU HAVE THESE ON THE SITE!!! &lt;3 Love, love, love it.